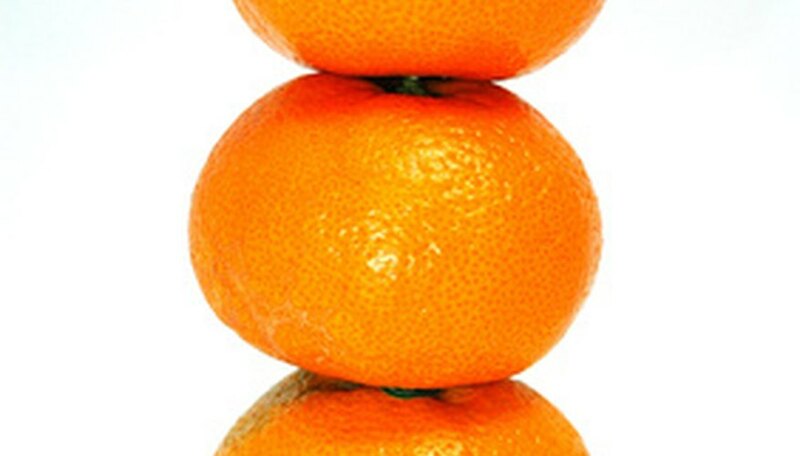 The satsuma is a mandarin orange, or Citrus reticulate. This evergreen citrus is a cold-hardy tree that can withstand temperatures at 15 degree F, or lower, with no injury. Native to Southeastern Asia, the satsuma thrives in full sun and can reach heights up to 20 feet. Producing white blooms in the spring, this fragrant citrus develops small, loose-skinned mandarins that harvest in the late fall to early winter months. Like many citrus trees, the satsuma is susceptible to several tree diseases. Although many of these diseases are not fatal to the tree, they can be disfiguring and injurious to the satsuma when left untreated. Citrus canker is a highly contagious bacterial disease that can cause major outbreaks among citrus trees. The bacterium travels onto the trees by wind and rain. Once settled, the bacterium infects the surfaces of newly developing leaves, stems and fruit. Mature leaves are immune to citrus canker; however, developing fruit is susceptible to infection for up to 90 days. Infected satsuma trees show symptoms that include spotted foliage, lesions on fruit and foliage, and weakening and dieback of twigs. Citrus canker can be controlled with copper-based spray treatments in combination with pruning of infected areas. The bacteria can also be passed by pruning implements and lawn mowers. Pruning implements should be sterilized between each cut and after completion. Lawnmower blades should be cleaned and sterilized after each mowing. Melanose is a fungal disease that preys on young foliage, fruit and twigs. This fungus develops on defoliated debris that remains under the tree. The fungal spores become active during wet periods with high humidity. Infected satsuma trees will experience yellowing of foliage, early defoliation and raised fungal spots on foliage and twigs. The infected fruit will develop light brown rind spots that are slightly sunken. As the disease progresses, the rind spots will become enlarged. Infected areas should be pruned from the tree using sharp, sterile shears. A single fungicidal treatment is usually effective in controlling melanose. Apply the treatment after bloom and before fruit development. Greasy spot of satsuma trees results in premature defoliation. This fungal disease begins with the development of yellow spots on the underside of foliage. Continued infection causes these spots to swell and blister. The infected areas will then collapse. The fungus will take on a dark, greasy appearance, causing the foliage to die and drop. Infected fruit will develop dark-colored lesions and greasy spots that initially begin as small, pin-sized, black specks. This disease originates from the leaf litter than remains under the tree from the previous season. The disease can be controlled by keeping the tree’s area free from debris and removing all fruit from the tree by the end of the harvest season. Oil sprays are also effective in controlling greasy spot when used in combination with proper pruning and debris removal.